This photographer will always be in my top ten photographers of all time. His lyricism and sensitivity to subject matter and narrative is up there with the very best that the medium has to offer. He was a great influence on my photography when I started taking black and white photographs in 1990. In this posting, it is nice to see some of the less well known of his images. 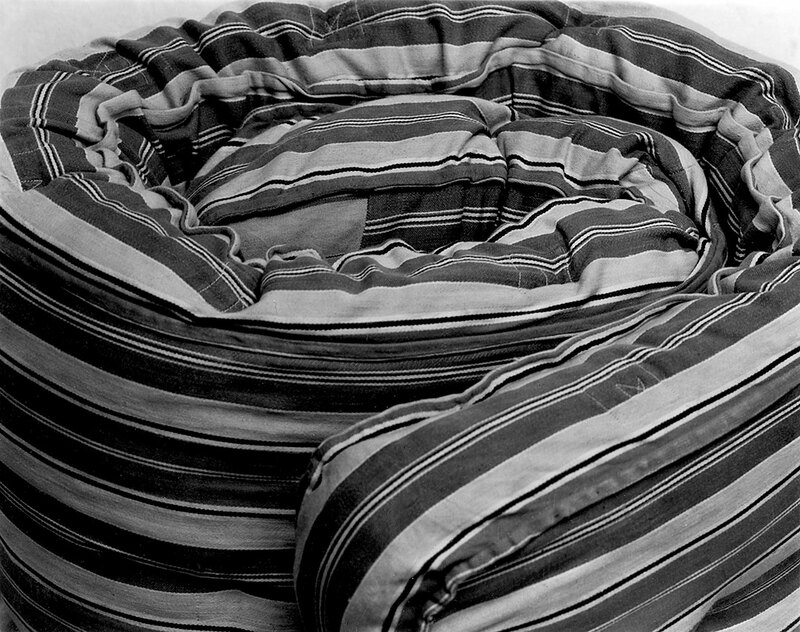 Many thankx to The Wittliff Collections for allowing me to publish the photographs in the posting. Please click on the photographs for a larger version of the image. 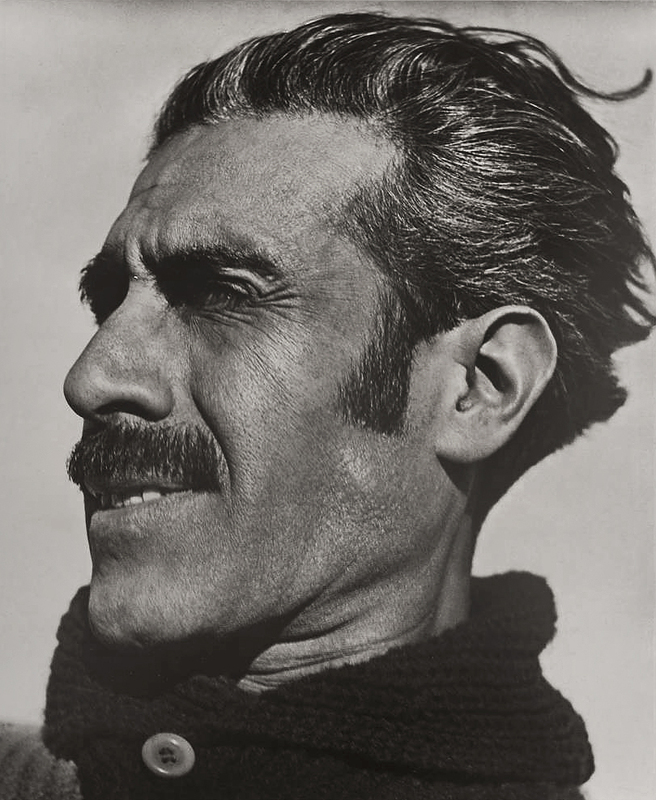 One of the founders of modern photography, Manuel Álvarez Bravo (1902-2002) is Mexico’s most accomplished and renowned photographer. His images are masterpieces of post-revolutionary Mexico, composed with avant-garde and surreal aesthetics that resonate with stylized vision. Álvarez Bravo’s signature landscapes, portraits, and nudes translate reality into dream-like moments that have become iconic. 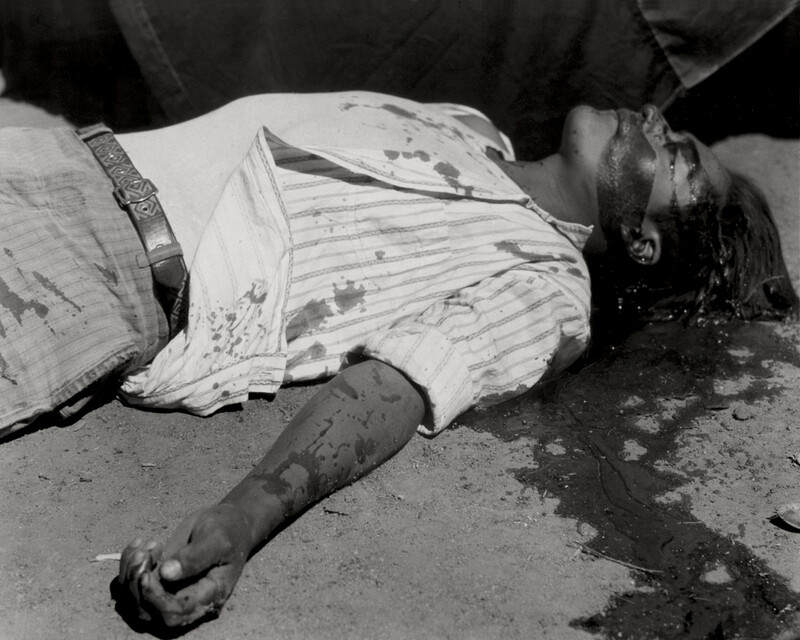 “Don Manuel,” as he was called, taught photography at various schools in Mexico City and mentored generations of Mexico’s finest photographers. 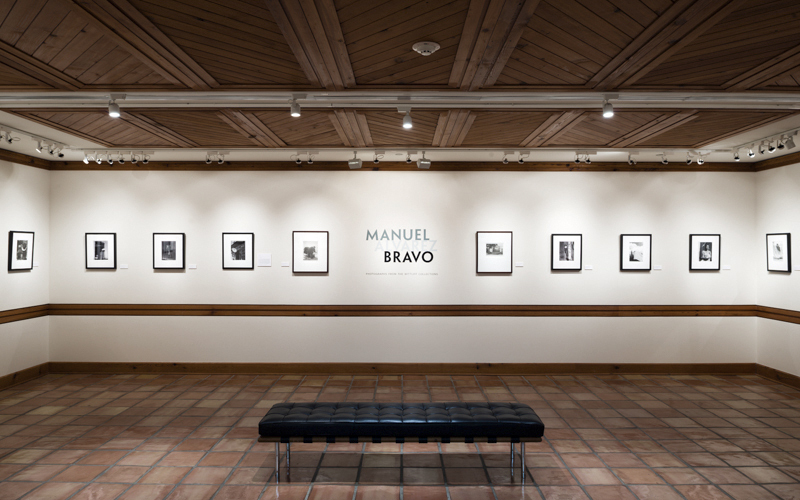 The Wittliff is proud to present its first-ever solo exhibition of works by this esteemed master – the result of more than 20 years of collecting – more than 50 of Álvarez Bravo’s signed prints. Included among the many famous images are: Bicicletas en domingo / Bicycles on Sunday; Caja de visiones / Box of Visions; El ensueño / The Day Dream; Obrero en huelga asesinado / Striking Worker Murdered; Parábola óptica / Optical Parable; and Retrato de lo eterno / Portrait of the Eternal. 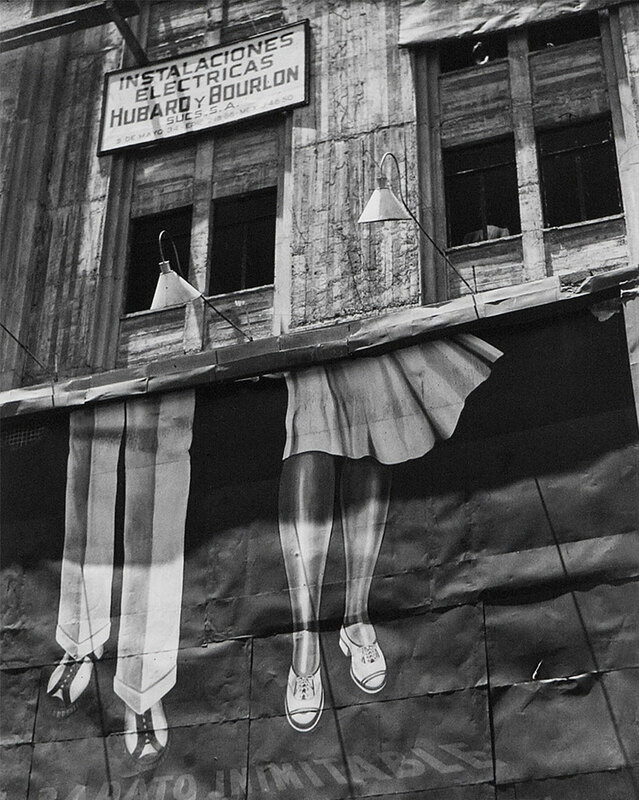 Born in 1902 in Mexico City into a family that supported the arts, Manuel Álvarez Bravo learned photography largely on his own but was encouraged by other well-known photographers, including Hugo Brehme, Tina Modotti, and Edward Weston, as well as the French surrealist writer André Breton. 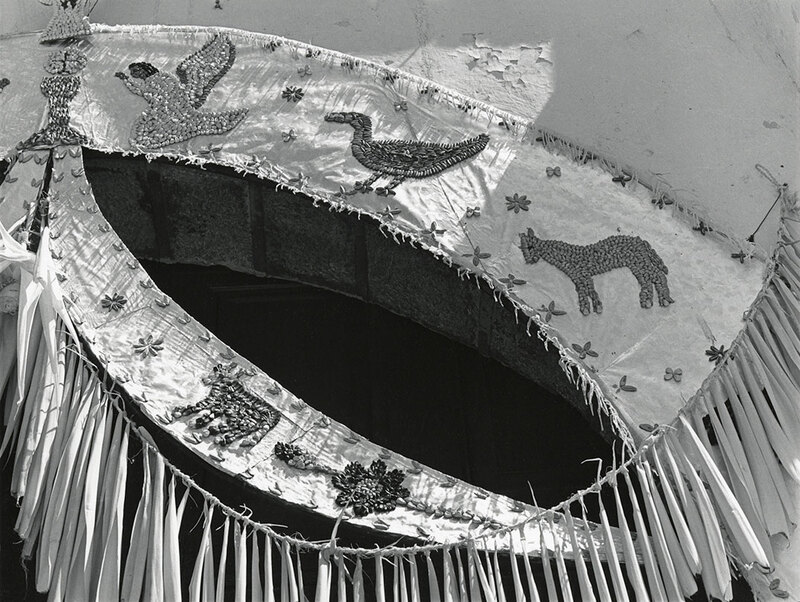 Álvarez Bravo’s art – which matured into a transcendence of culture, time, and place – was inspired by the times, during post-Revolutionary Mexico when Mexico City flourished as one of the major creative and intellectual centers of the world. In 1955, Edward Steichen included his work in the landmark exhibition The Family of Man for the New York Museum of Modern Art (MoMA). 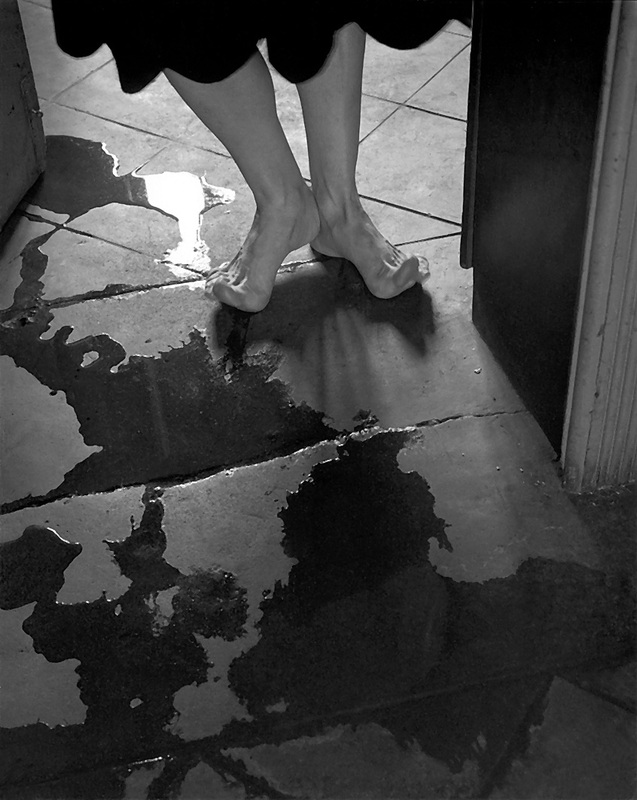 Álvarez Bravo’s imagery has been featured in over 150 solo exhibitions, and he garnered many honors throughout his career. Hours vary throughout the year – PLEASE CALL AHEAD: 512.245.2313. What a privilege to be able to post these photographs that appear in the exhibition. Breathe, look, enjoy! “In the decades following the Revolution of 1910, foreign artists and intellectuals flocked to Mexico in order to experience its warm climate and lively cultural scene. 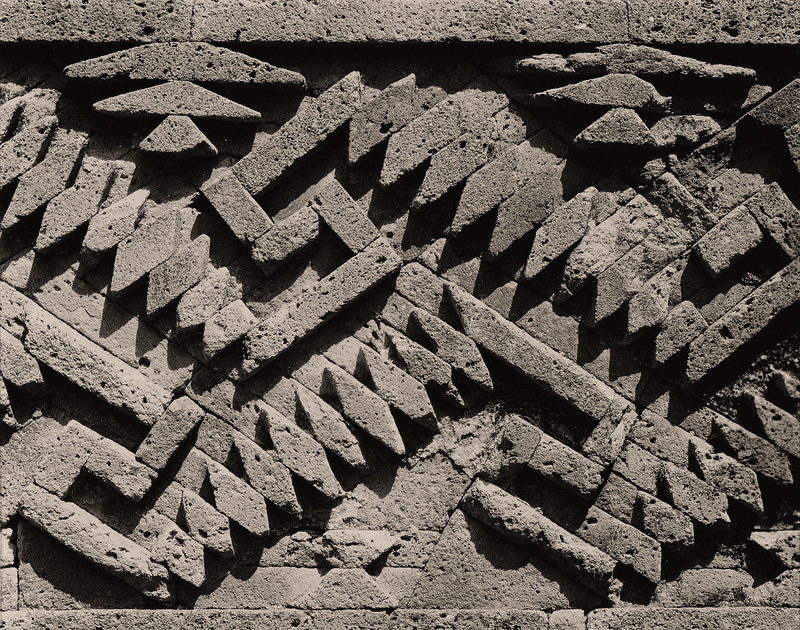 They were inspired by Mexico‘s exotic tropical landscape, its ancient monuments and colonial architecture, the work of its modern muralists, and the country‘s indigenous arts and crafts. 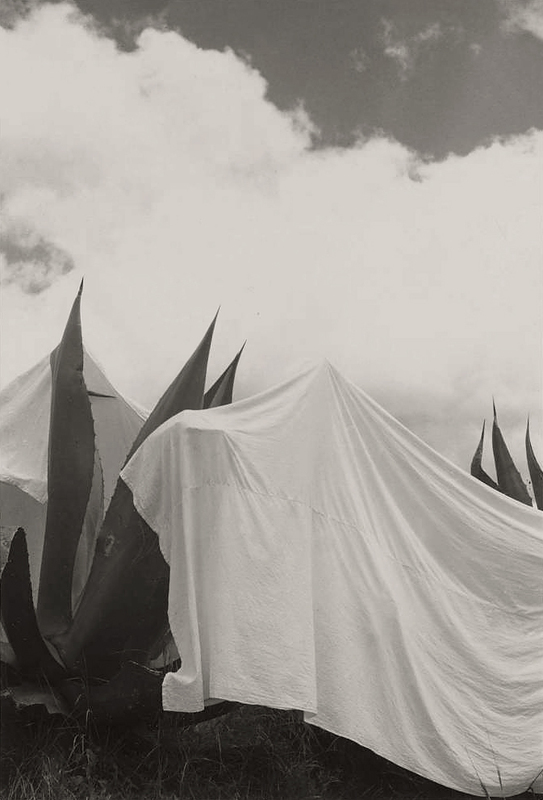 During two extended trips to Mexico made between 1923 and 1926, American photographer Edward Weston (1886-1958) created some of his earliest modernist photographs, which form the core of the exhibition, Viva Mexico! Edward Weston and His Contemporaries, at the Museum of Fine Arts, Boston (MFA). 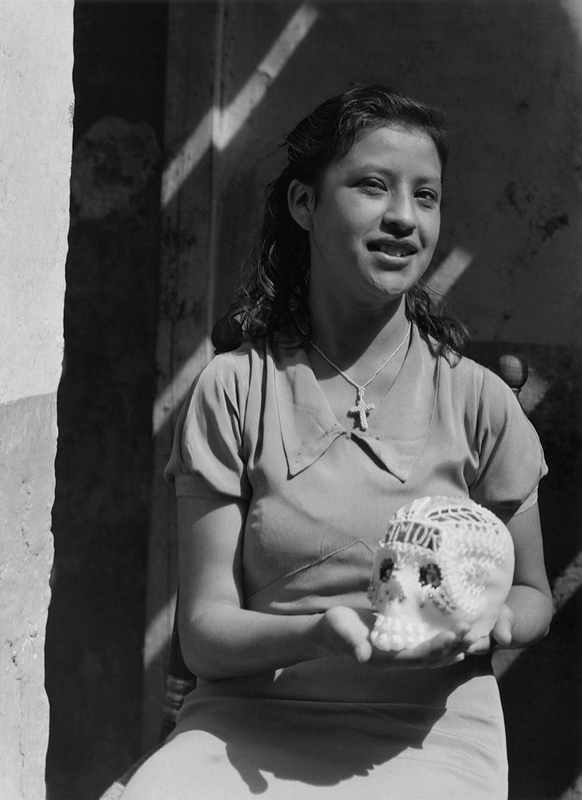 Featured are approximately 45 works, among them about 30 rare photographs by Weston and selected images by Tina Modotti, Brett Weston, Manuel Alvarez Bravo, and Paul Strand. These photographs from the 1920s and ’30s are drawn from the Museum’s own collection, as well as The Lane Collection, which is on long-term loan to the MFA. Additionally, a compelling 1939 portrait of Frida Kahlo by Hungarian-born photographer Nickolas Muray has been lent from a local private collection. Viva Mexico! 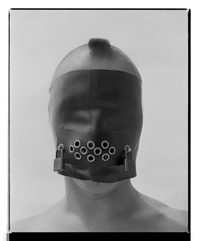 is on view May 30 through November 2 in the MFA’s Herb Ritts Gallery. The Lane Collection, which includes gifts and loans to the MFA, comprises modern American paintings, photographs, and works on paper assembled by the late William H. Lane and his wife, Saundra B. Lane, a Trustee of the MFA. During the late 1960s, the Lanes acquired a large number of Weston’s vintage photographs, which are now widely acknowledged to be the most important collection of the photographer’s work in private hands. 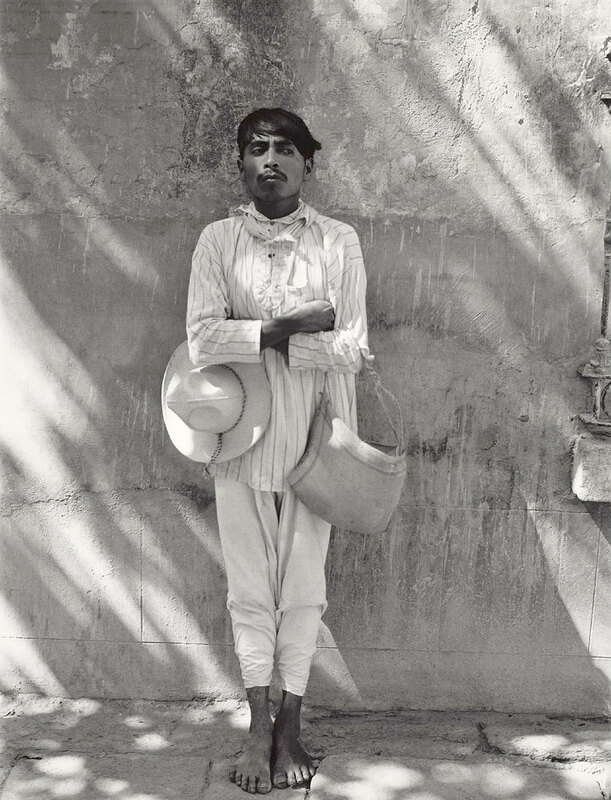 In an early biography of Edward Weston, writer and editor Nancy Newhall described Mexico as his “Paris,” the place where he greatly expanded his range as an artist. 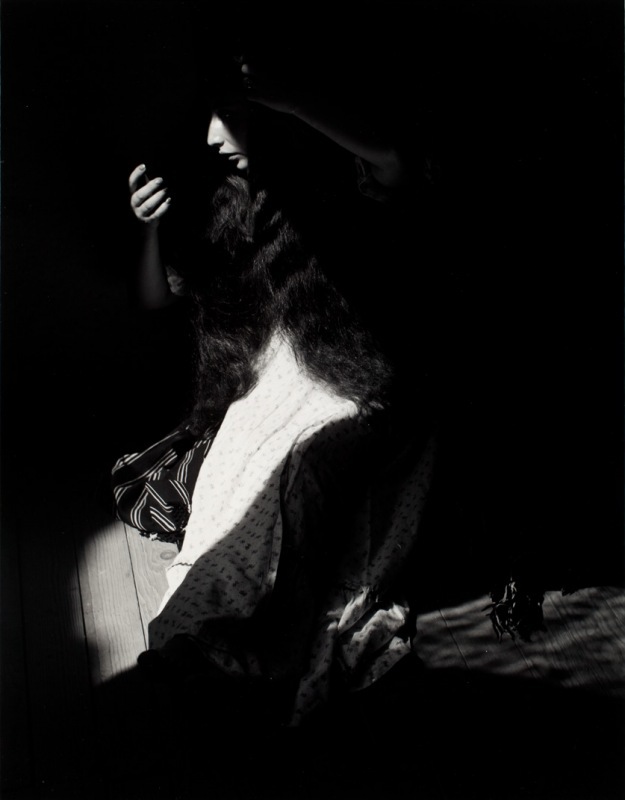 His total of more-than two years in Mexico – Weston’s only travel outside the US – offered him the opportunity to move away from his Pictorialist style, with its soft focus and ethereal, romantic qualities, toward more abstract forms and sharper resolution of detail. 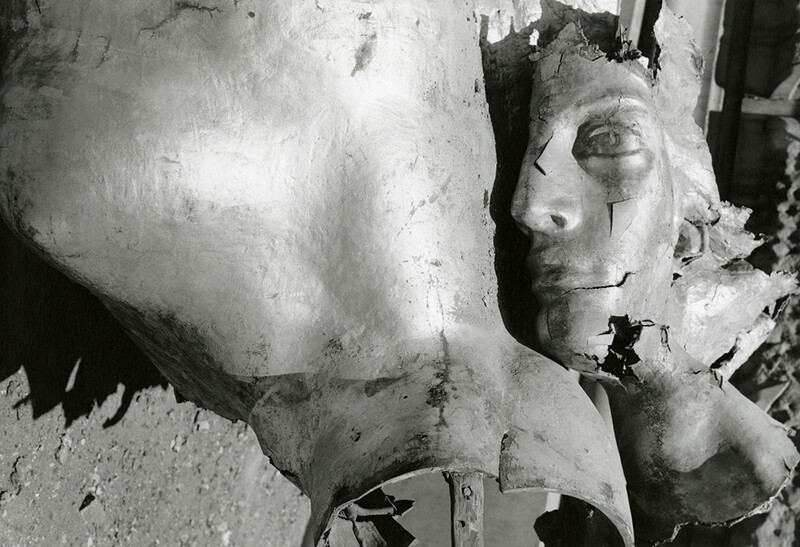 Heroic portrait heads, avant-garde nudes, urban views, cloud studies and landscapes, and images of Mexican toys and folk art are among the subjects he captured with his large-format camera. 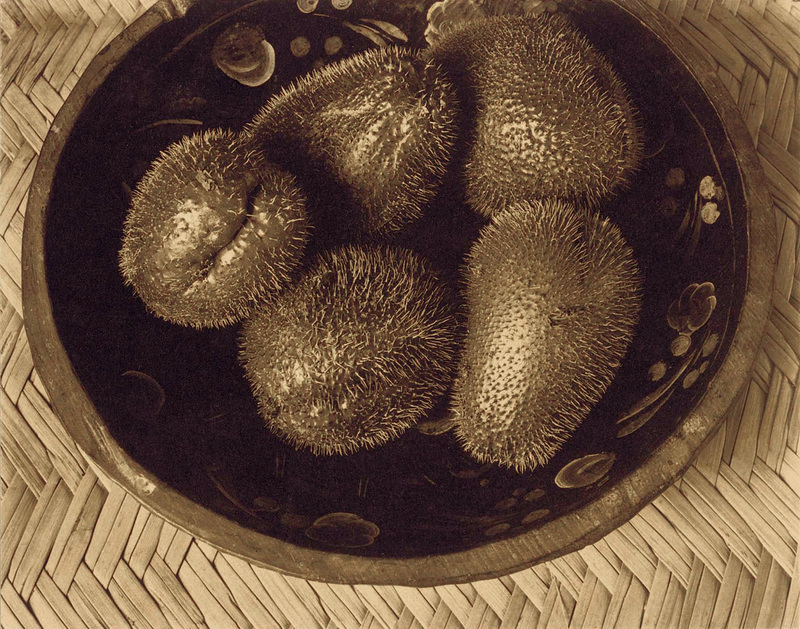 This period of experimentation with isolated objects also resulted in some of Weston’s earliest forays into still life, as can be seen in Chayotes (1924), a close-up of the beautiful, spiny squash arranged in a painted wooden bowl. 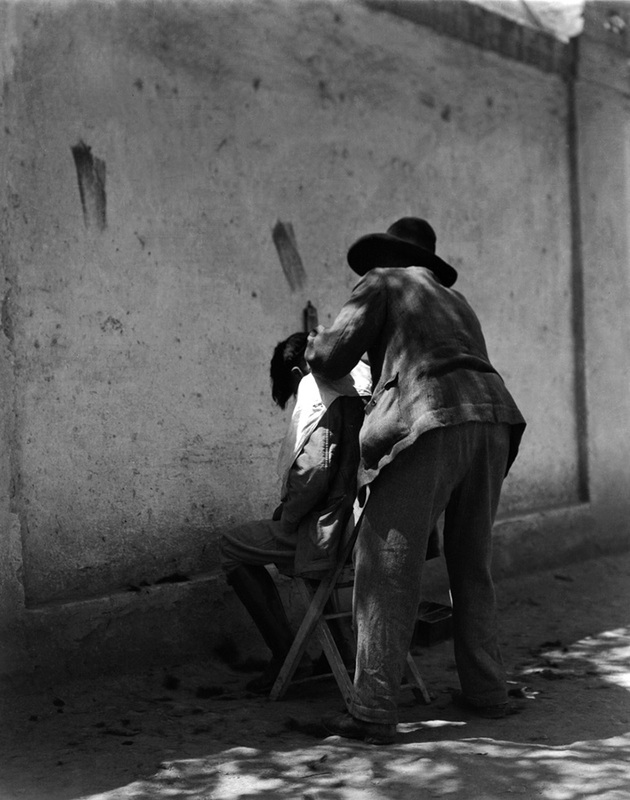 In 1923, Weston made the difficult decision to close his portrait photography studio in Tropico (now Glendale), California, and move to Mexico, as he wrote in his journal – to start life anew. 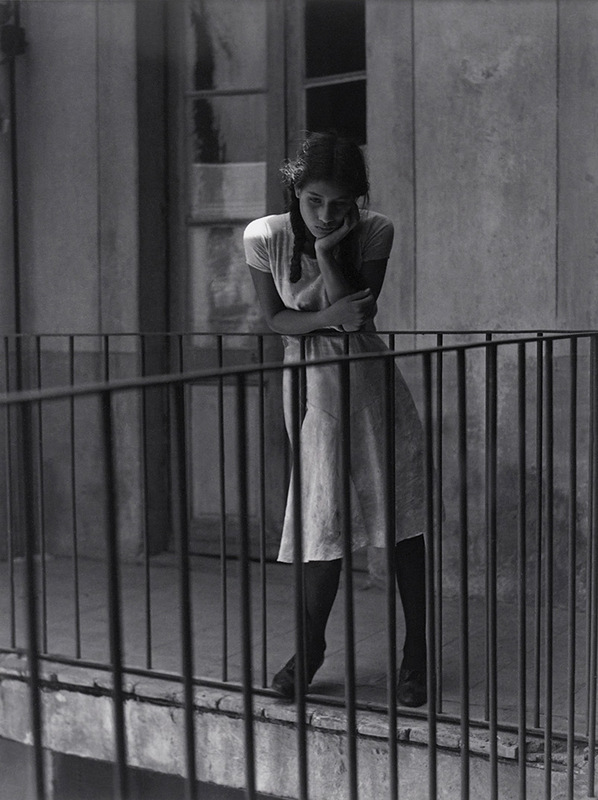 He left behind his wife and three of his four young sons and traveled to Mexico City with his lover, Italian-born actress Tina Modotti (1896-1942) and his oldest son Chandler. 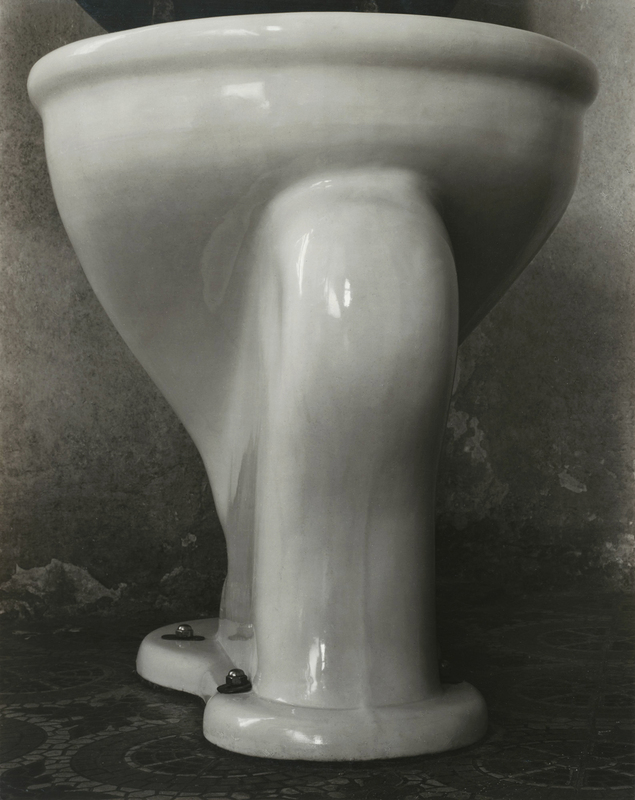 Modotti ran Weston’s new studio, served as his translator and muse, and under his tutelage began to make highly accomplished photographs of her own. Together they became immersed in the vibrant community of artists and intellectuals centred there, which included painters Diego Rivera, Jean Charlot, Xavier Guerrero, and Rafael Salas, as well as the poet Luis Quintanilla, writer D.H. Lawrence, anthropologist Frances Toor, and journalist Carleton Beals. 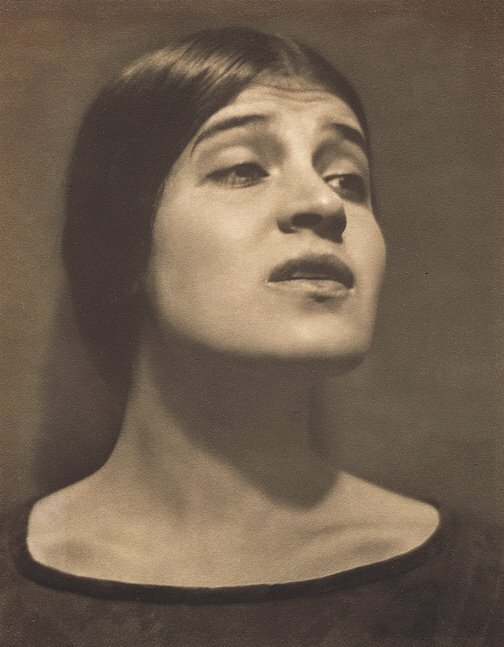 Although Weston and Modotti always remained outsiders looking in, the several exhibitions of their work during their Mexican sojourn helped spark a lively interest in modernist photography in their adopted country, where until this time photography had been admired mainly as a documentary tool, rather than a fine art. 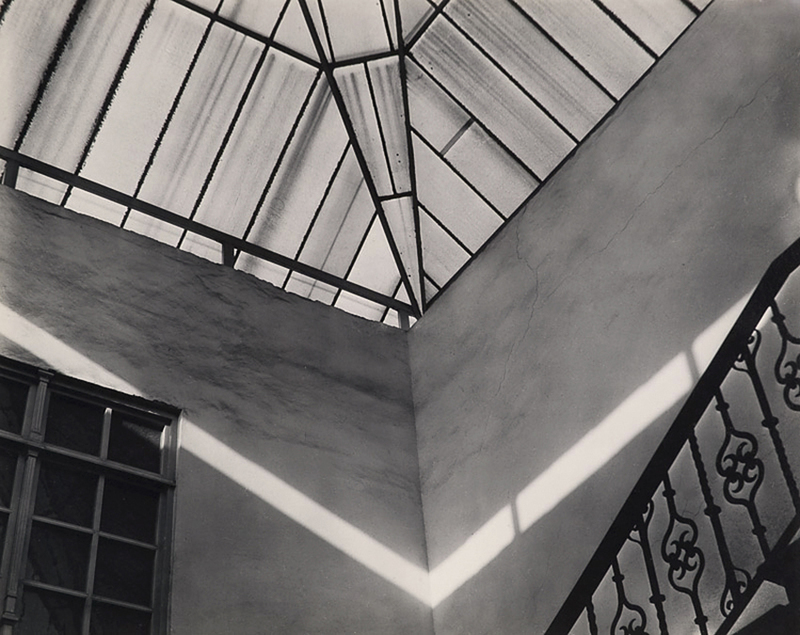 Abstract architectural details began to make their way into Weston’s work as well and he was drawn to capture light and shadow on a variety of surfaces, from the zigzag stone patterns of the ancient Ruinas de Mitla (1926) to the angled forms of the convent stairwell and skylight in San Pedro y San Pablo (1924). Viva Mexico! 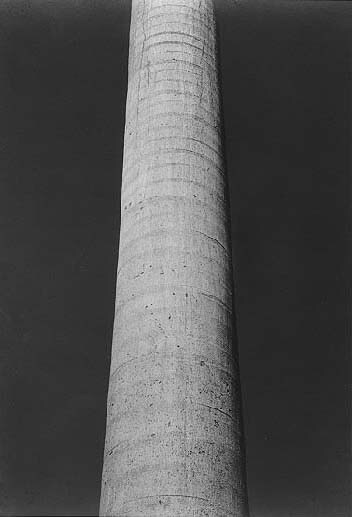 also showcases Weston’s experimentation with landscape photography, both urban and rural. 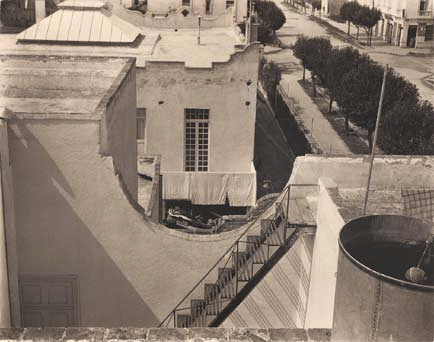 The striking view from his studio roof is recorded in Desde la Azotea (1924), in which the geometry of the buildings below is heightened by the elevated vantage point and steeply raking light, and in Michoacán (1926), where he captures the beautifully undulating silhouette of the pastoral countryside. 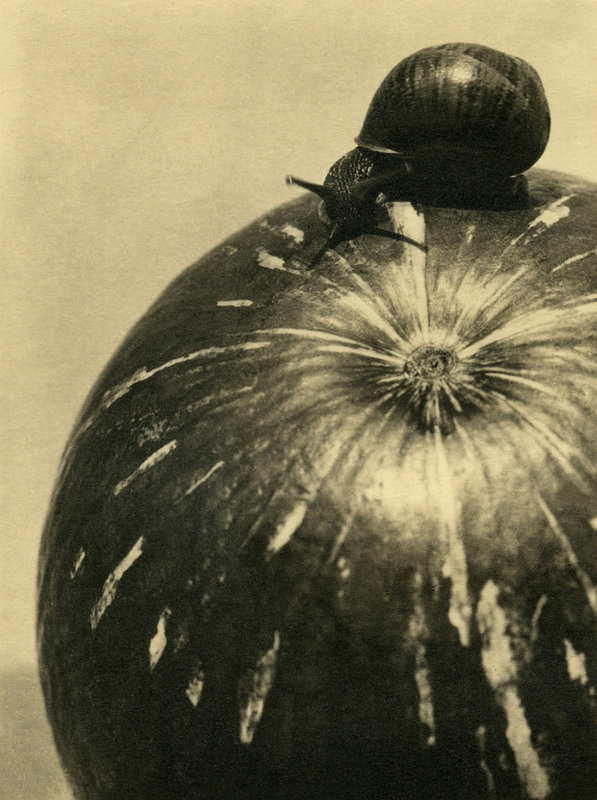 Much less common among his subjects from this period are some of Weston’s little-known photographs made in outdoor markets and fairs, such as Mercado, Oaxaca (1926) and Bowls, Oaxaca (1926). 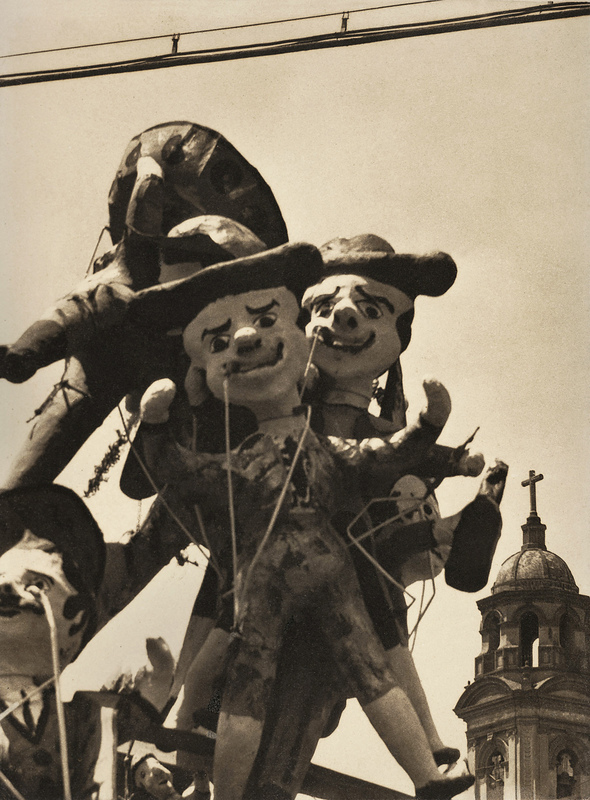 These open-air street images closely relate to another group of pictures, including Torito (1925), a playful little papier-maché bull, and Fish Gourd and Striped Serape (1926), which reflect Weston’s newfound interest in the vernacular Mexican toys and folk objects that he collected and lovingly documented in his studio while waiting for clients to arrive for portrait sittings. These whimsical photographs also serve as fascinating precursors to Weston’s high modernist still lifes of less than a decade later. 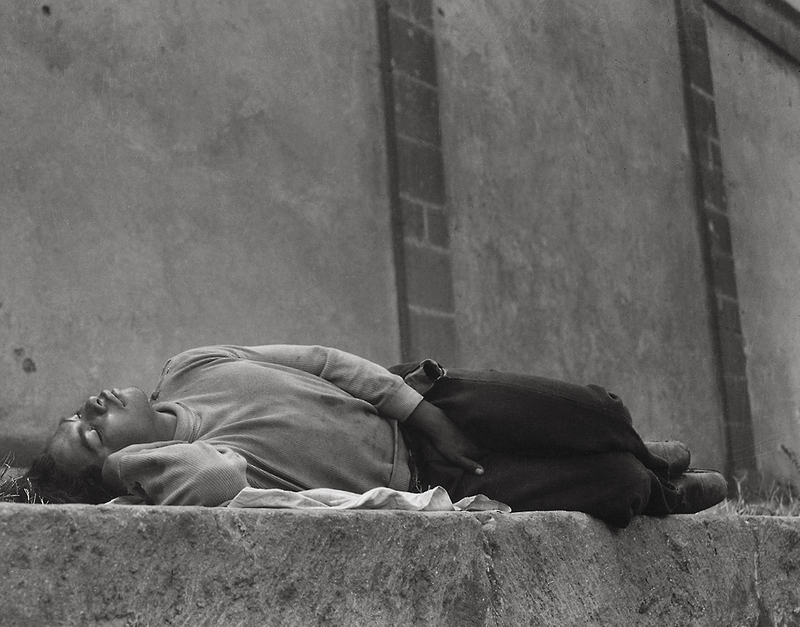 Over the course of her time in Mexico, Modotti rapidly went from photographer’s apprentice and model to fine art photographer in her own right. 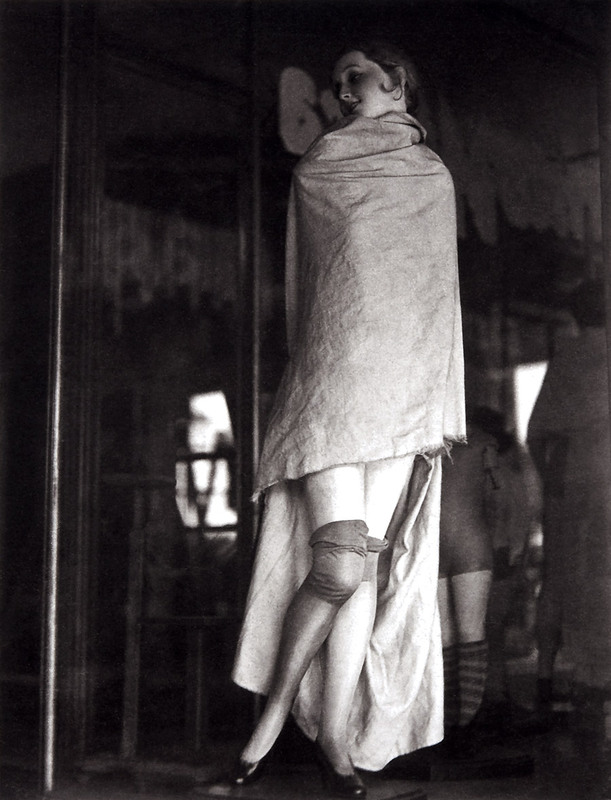 Although her career as a photographer was relatively brief, her powerful pictures from this period sometimes rival those of her lover and teacher, Edward Weston. 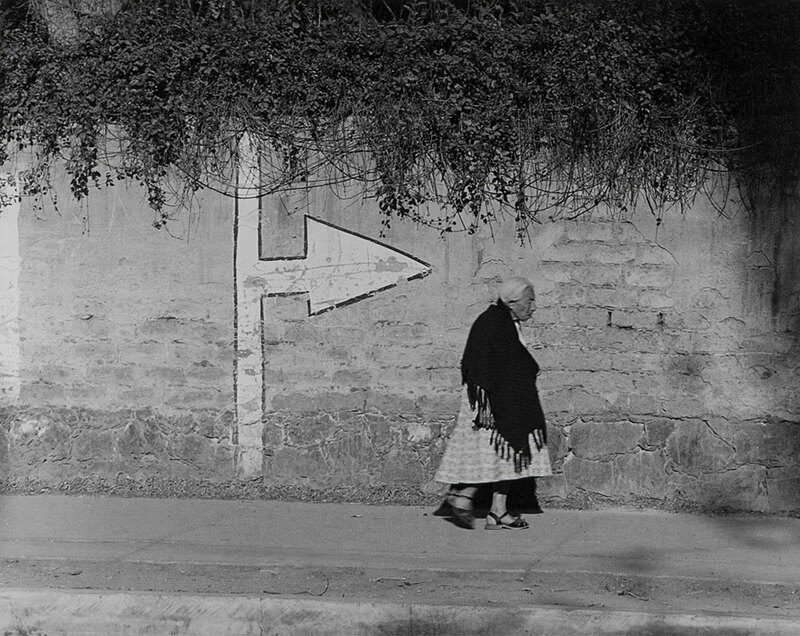 Modotti was a rare woman in a mostly male profession, but she brought to her work a deep-seated interest in the people and the politics of Mexico in the 1920s. 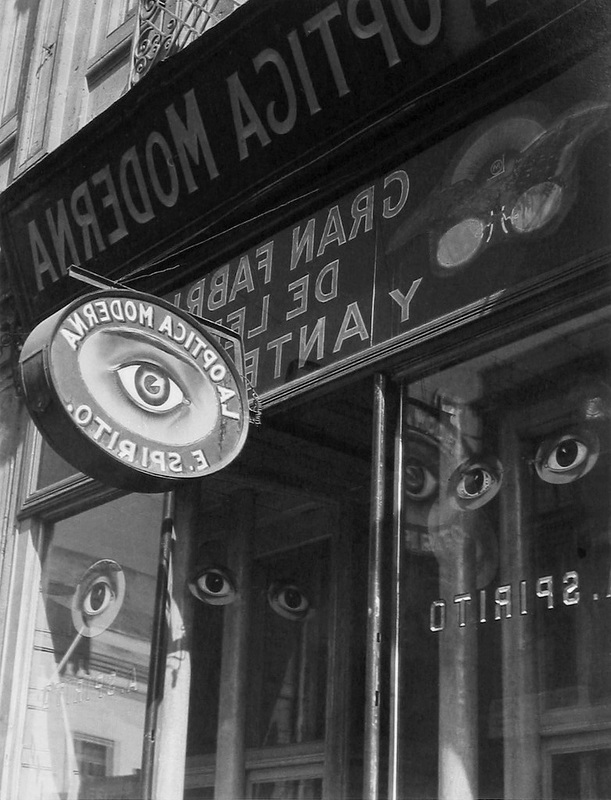 Unlike Weston, who preferred to work in the studio rather than the street, Modotti straddled the worlds of fine art photography and radical social activism. Her commitment to the struggles of the people can be seen in her iconic Worker’s Hands (1927), and her fascination with Mexico’s public demonstrations and celebrations is captured in Effigies of Judas (1924). 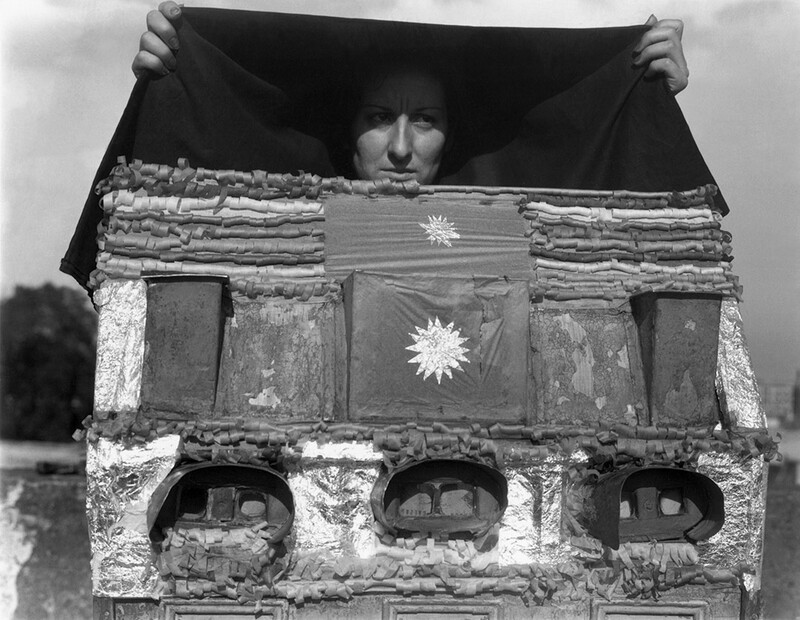 She was so impassioned by these causes, in fact, that Modotti joined the Communist party and continued to work in Mexico for several years after Weston finally returned home in 1926. 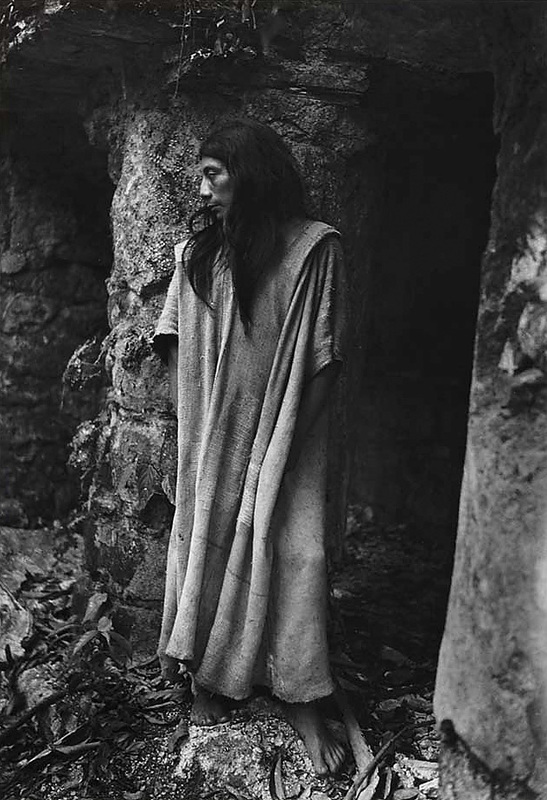 Before he left for California, however, Weston and Modotti collaborated on a photographic commission to illustrate a book on Mexican history and culture entitled Idols Behind Altars, which was written by their friend Anita Brenner and published in 1929. A copy of the book is among the case materials featured in the exhibition, as is American photographer Laura Gilpin’s book, Temples in Yucatan: A Camera Chronicle of Chichén Itzá (1948), which showcases her pictures of the ancient Mayan ruins taken during her two trips there in the early 1930s and mid ’40s. Viva Mexico! 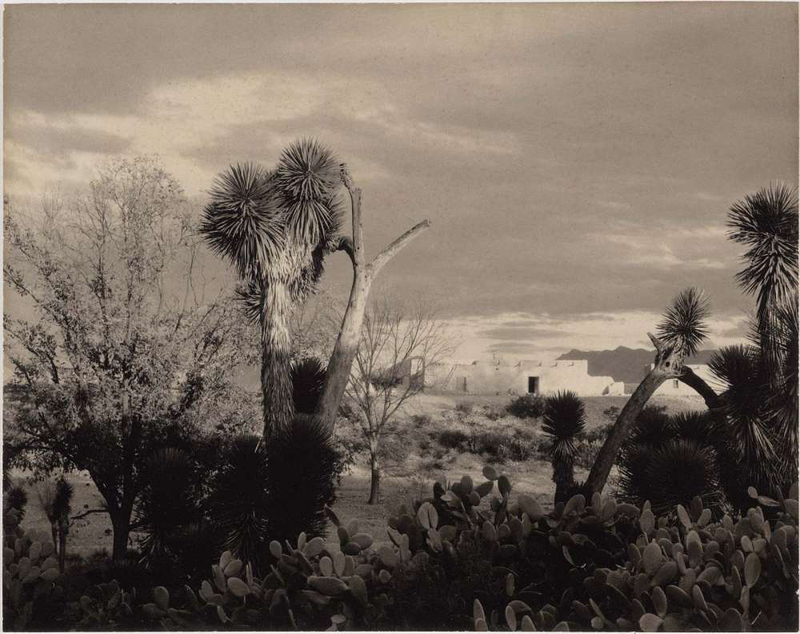 also offers visitors to the MFA a rare chance to see some of Brett Weston’s (1911-1993) earliest serious photographs made during Edward Weston’s second extended trip to Mexico in 1925 and 1926 (after an eight-month-long hiatus in California). 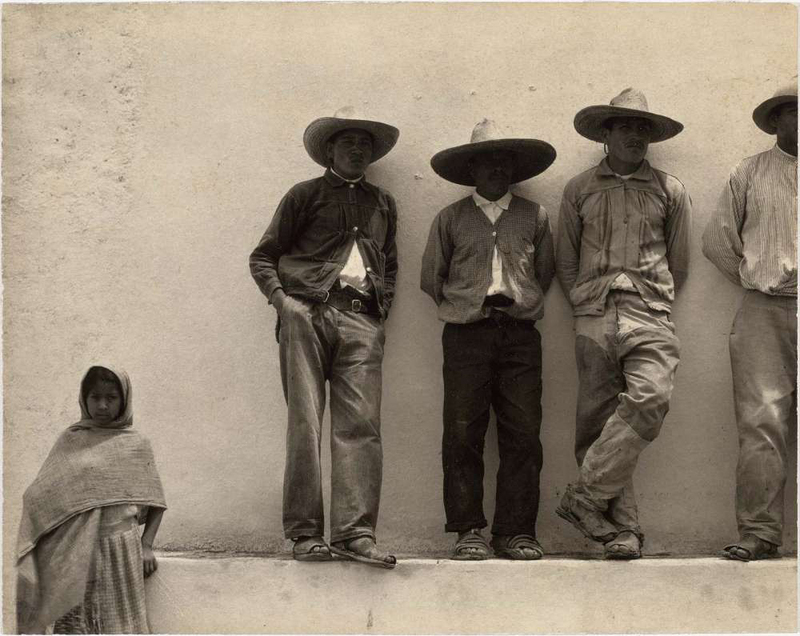 The second eldest of Weston’s four sons was only 14 years old when he accompanied his father to Mexico City and went with him to live in the house and studio that Weston shared with Modotti. 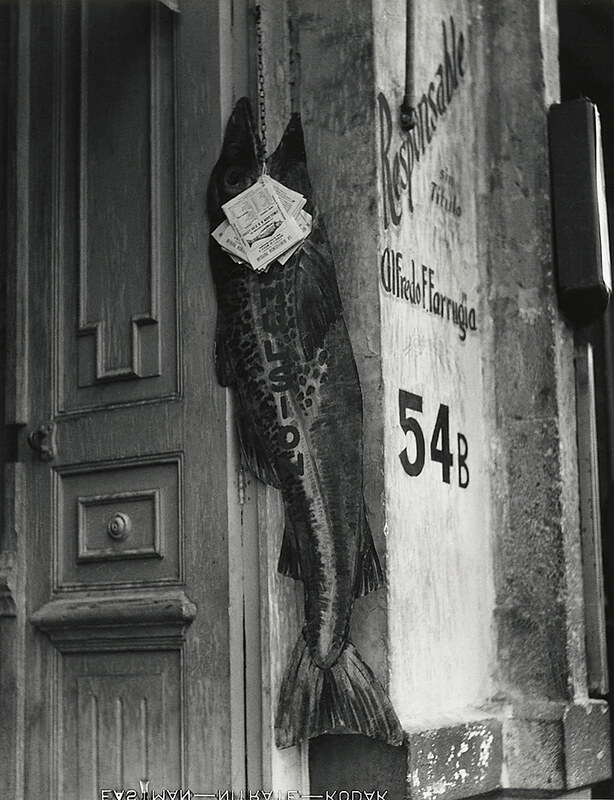 Rather than the large-format camera and platinum prints that his father preferred, Brett Weston was given a 3 ¼ x 4 ¼ Graflex camera and printed his pictures on less expensive gelatin silver papers, which captured the precise detail and texture that his father admired in his work. 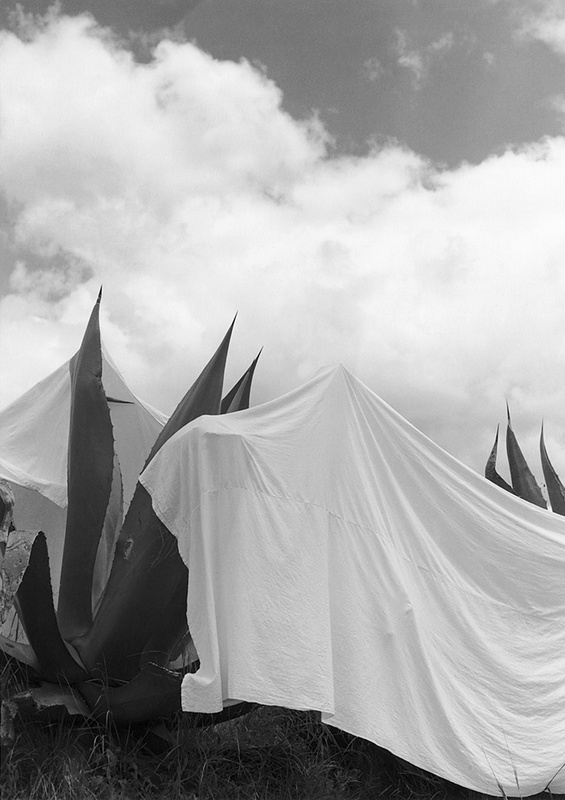 The boy quickly fell under the spell of photography and his time in Mexico proved to be an ideal preparation for his own future as a professional photographer. 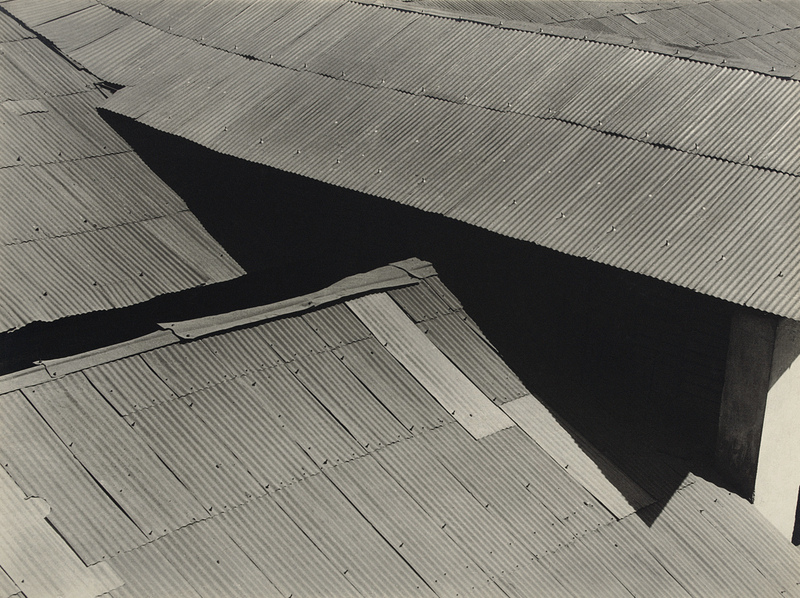 Two of Brett Weston’s highly abstract architectural views, Tin rooftops (1926) and Ventilator (1926), are on view in the exhibition. 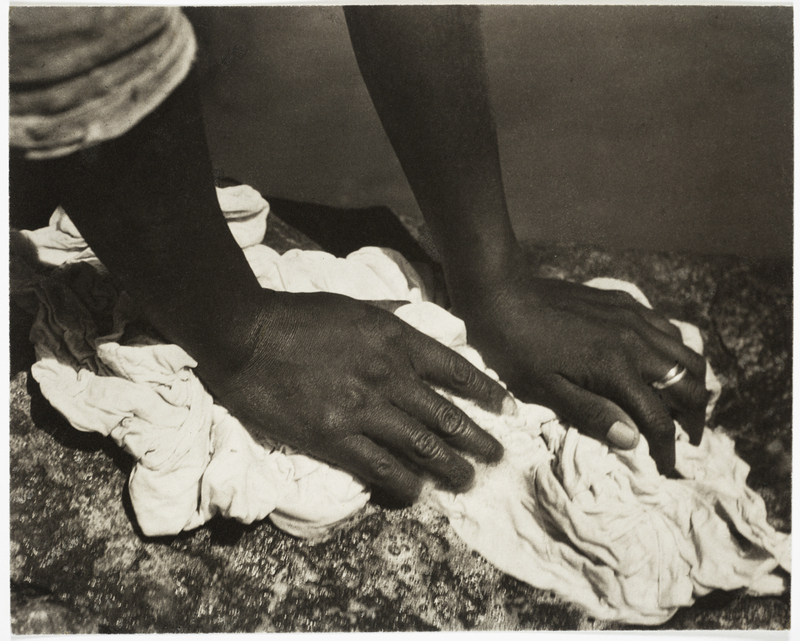 Tina Modotti’s closely cropped picture of a worker’s dusty hands conveys the realities of hard work. 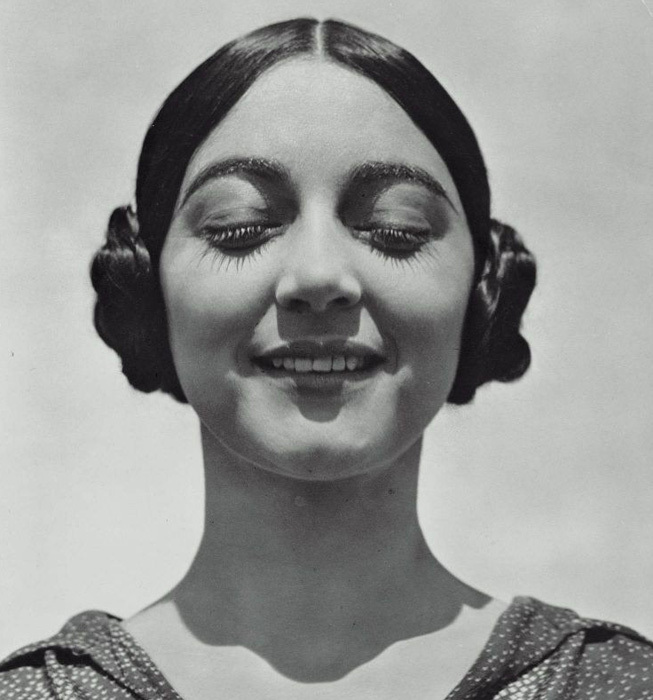 In 1923, the Italian-born film actress accompanied her lover, photographer Edward Weston, to Mexico City, where Weston taught her to use a large-format camera. She worked as his studio assistant, quickly mastering the technique and making striking portraits, close-up images of flowers, and still lifes of her own. 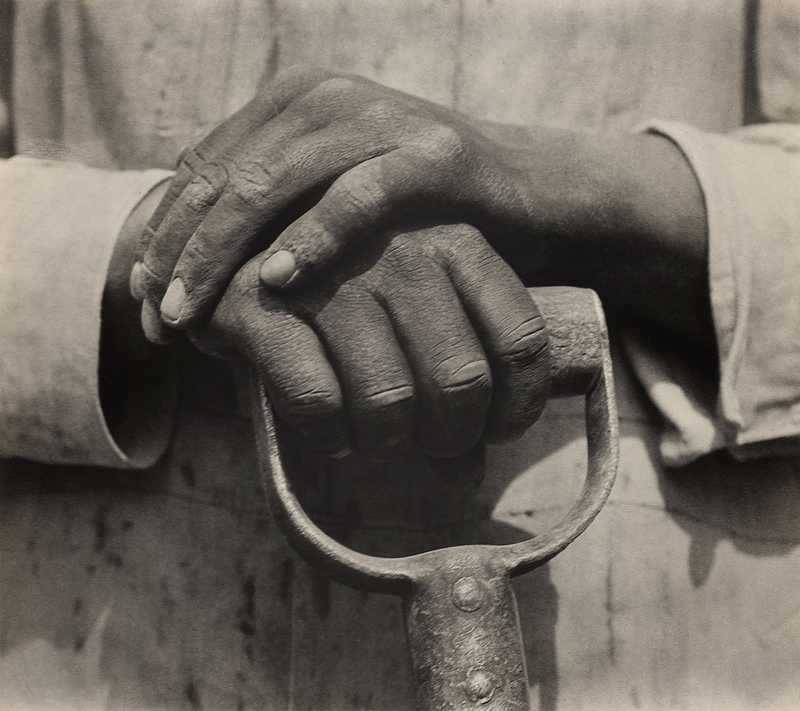 Modotti’s compassion for the indigenous culture and political struggles of the Mexican people led her to join the Communist Party in 1927 and to focus on socially concerned subjects, using her camera as a tool to document the proud faces and weathered hands of the peasant labourers, artisans, and revolutionaries of her adopted country.